JonesWorld hails from Nashville, Tennessee. Now, we know that Nash Vegas ain't exactly known for Funk and Rock, but maybe we can change that! 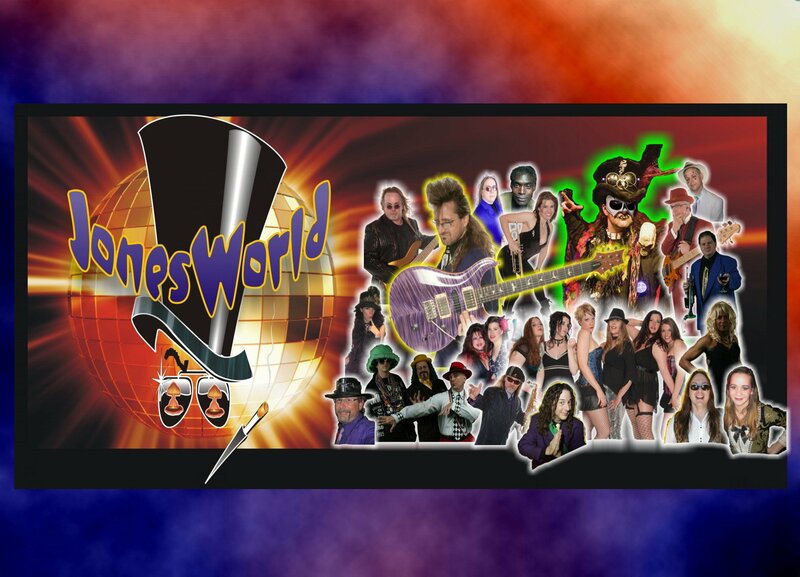 JonesWorld is our own little extended family network, a universifunkdified group of peeps who just want to get together and celebrate every chance we can. The music is the excuse and the backbone of the reason to throw the party. Headed by Toddzilla (the JonesWorld "Minister of Funk" and lead guitarist), JonesWorld is the biggest jam since the Mothership landed. The shows are an all-out sensory assault, complete with go-go dancers (known as the Glittachix), giant smoking fuzzy dice, and Rock 'Em Sock 'Em Robots. JonesWorld is an experience you HAVE to see, because you'll never know what will happen next. So come along for the ride, don't judge anyone, and live by the creed of Peace, Love n' Funk!